In Asia, Japan -0.19%. Hong Kong closed. China closed. India +0.20%. In Europe, at midday, London +1.12%. Paris +0.92%. Frankfurt +1.07%. Futures at 5:40, Dow +0.25%. S&P +0.13%. Nasdaq +0.15%. Crude +1% to $55.10. Gold -0.26% to $1,315.90. Bitcoin +0.6% to $3,506. Today is Cycle Day 3 (CD3)…Cycle objectives have been fulfilled in prior session. 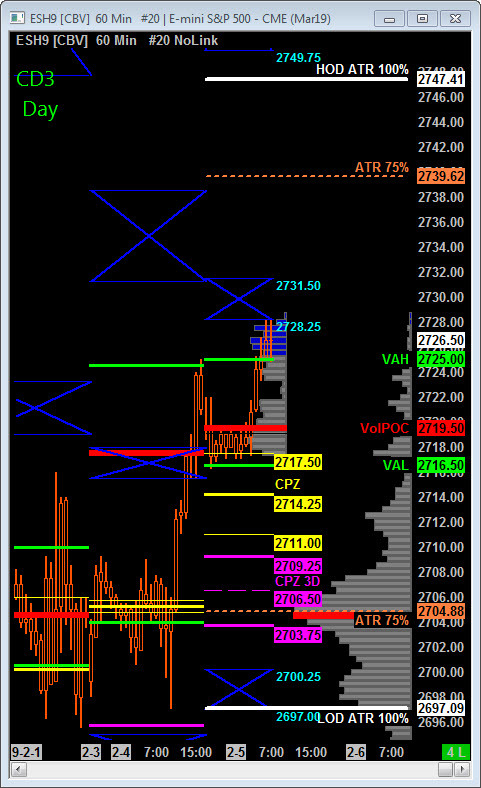 Price continues to press higher extending gains, with additional upside targets measuring 2728.25 – 2734 Statistical Penetration Zone. Scenario 1: IF price holds bid above 2718, THEN initial upside potential target measure 2728.25 – 2731.50 STATX Zone. Scenario 2: IF price holds offer below 2718, THEN initial downside targets 2714.25 – 2709.25 Central Pivot Zone. Today is Cycle Day 3 …3-Day Cycle objectives have been fulfilled in prior session. 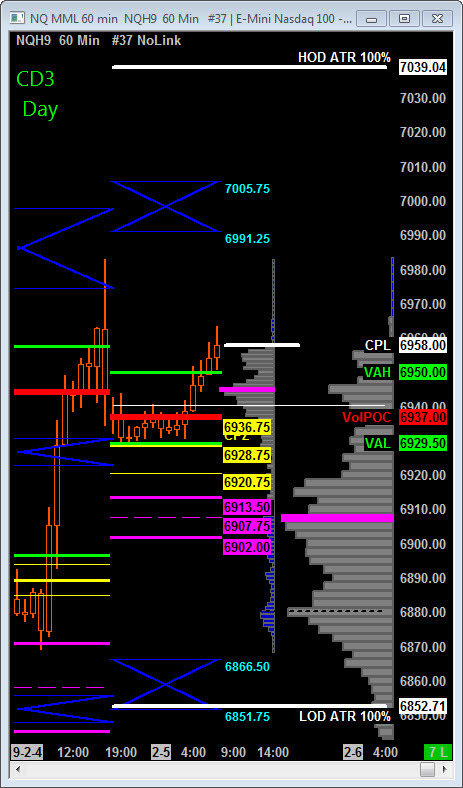 Price continues to press higher with additional upside targets measuring 6984.50 – 7004.50 Statistical Penetration Zone. Scenario 1: IF price holds bid above 6930, THEN initial upside potential targets 6984.50 – 7004.50 CD3 Statistical Penetration Range Zone. Scenario 2: IF price holds offer below 6930, THEN initial downside targets 6920.75 – 6907.75 3 Day Central Pivot Zone.